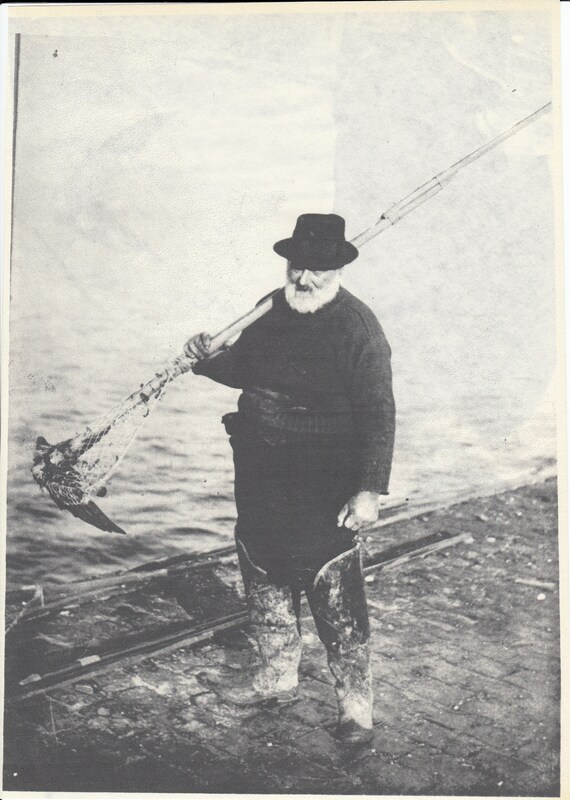 William “Buffo” Woodhouse with a long craam on Kilnrow. ‘Craam’ was the local name for a rake. The hand craam was used for gathering mussels on dry skeers, a basket craam was used for gathering in water up to knee deep, and a long cramm was uded for gathering in water up to 3 fathoms, 1920’s.